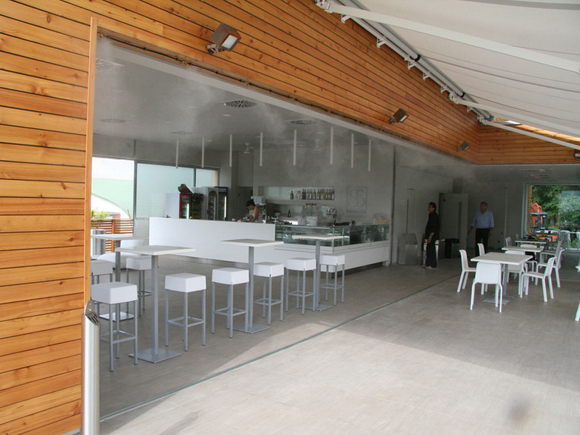 MISTEC Malta - Evaporative cooling – what does it mean? 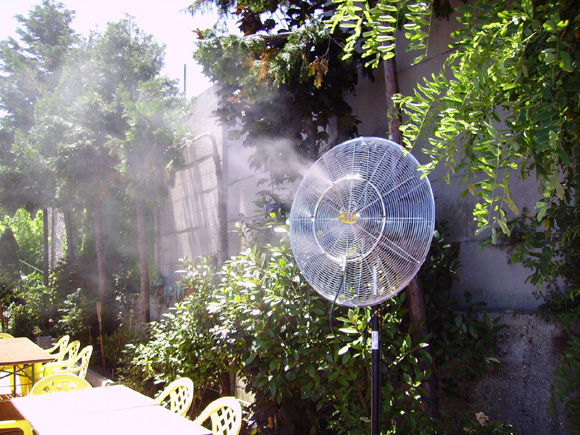 Evaporative cooling – what does it mean ? This is the ‘cooling’ effect or the ‘chill’ you feel when a breeze strikes your skin. The air evaporates the water on your skin, with your body heat providing the energy. Now, by forcing water by means of a high pressure pump, through specially designed misting nozzles, we create a fog of ultrafine water droplets with an average size of less than 10 microns (µ). These tiny water droplets quickly absorb the energy (heat) present in the environment and evaporate, becoming water vapour (gas). The energy (heat) used to exchange the water to gas is eliminated from the environment, hence the surrounding air is cooled. 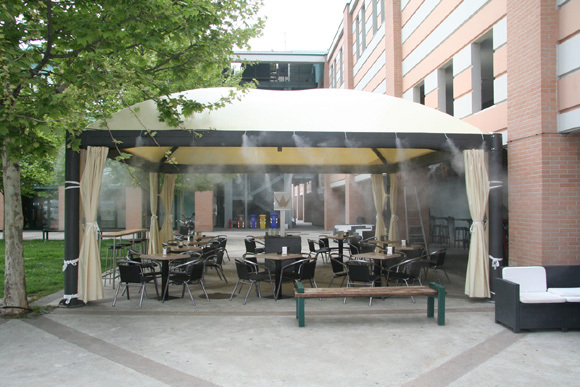 These misting systems can be installed as fixed or as mobile systems, whichever you prefer and whichever is better for your premises. The systems can be used to effectively keep away unwelcome guests like mosquitoes, flies, birds and rodents. Also used to suppress dust, pollen and odours. It is also possible to locate the cooling effect where needed, without necessarily covering very large areas, saving on installation costs. 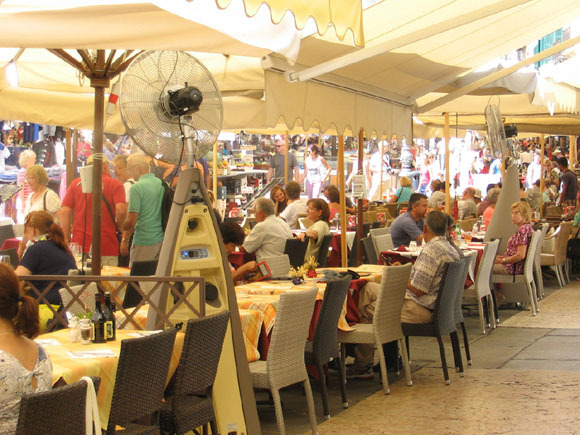 Estimated cost for installation is ⅛ – ½ that of refrigerated air conditioning. Estimated cost of operation is ¼ that of refrigerated air and power consumption is limited to the fan and water pump vs compressors, pumps and blowers of traditional air conditioning. 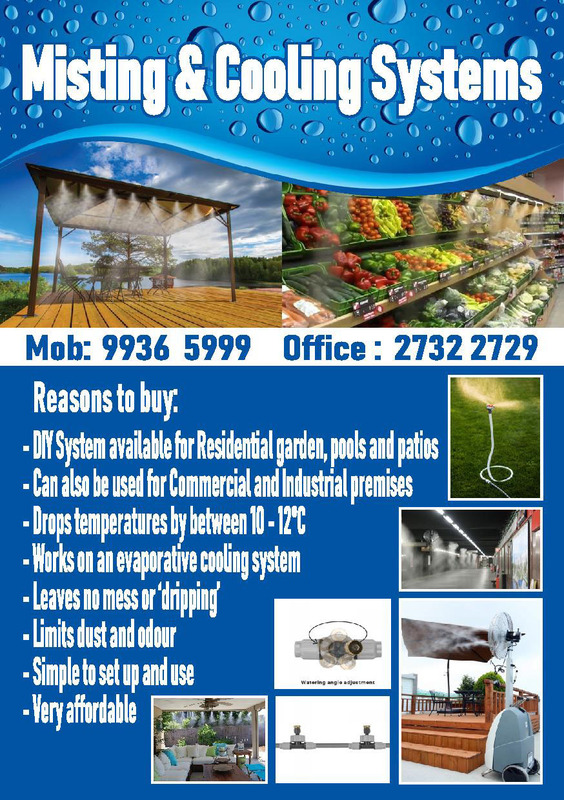 This cooling effect is a simple, inexpensive and is an appealing way to lower the surrounding air temperature by between 10 – 12°C outdoors without wetting. Treat your guests and yourself to a refreshing oasis, like a cool breeze on a hot day !